This magical 1-bedroom private pool villa hideaway is a perfect honeymoon sanctuary – an authentic Balinese style villa offering the ultimate in privacy and luxury. Guests can unwind on a private deck facing a sun-drenched pool, lounge decadently on day beds or dine al fresco at the traditional teak outdoor table with pool views. 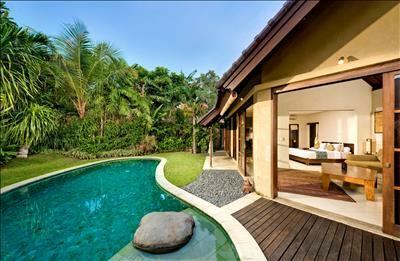 This realm of paradise features a spacious bedroom with an imposing king-sized bed and a separate desk area. The outdoor bathroom features a stand-alone terrazzo bathtub where guests can relax and enjoy the breeze in this Balinese haven of peace and tranquillity. A luxurious jungle print chaise longue looks onto a stone and planted garden with outdoor shower. All of Villa Kubu’s one-bedroom villas are seamlessly serviced by an expert team of staff – nothing is too much trouble and service is always accompanied by the famous Kubu smile – whether taking the daily á la carte breakfast in your villa, ordering our silver-service in-villa dining, booking a chef for our poolside barbeques and banquets or sampling the delights of the onsite Spa Venus. A secret doorway in the garden allows this villa to connect to the three-bedroom Villa 3 to give four bedrooms if desired. Thank you for your hospitality, we enjoyed staying in villa Kubu #15. Thank you for your hospitality, we enjoyed staying in villa Kubu #15. It become our home for honeymoon and we really appreciate everything!!! Definitely we are going back here. Thank you…. 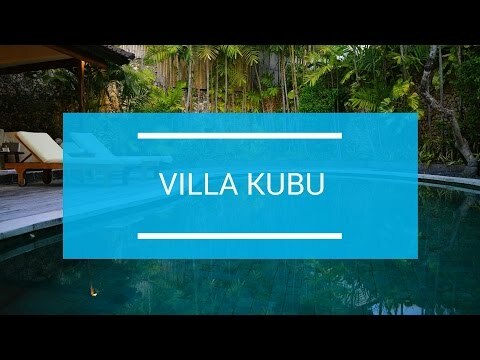 Dear Villa Kubu, it was such a beautifully delightful stay! 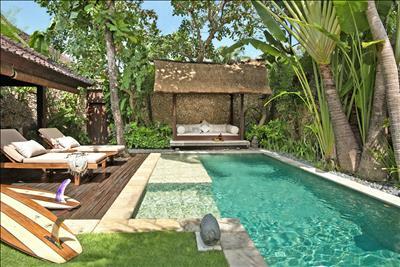 Dear Villa Kubu, it was such a beautifully delightful stay! We had the most amazing time. We enjoyed every moment of it and we'll definitely be back again!!!!! !